The Mediterraneo DX Club lives thanks to the goodness of its members and their annual contributions. 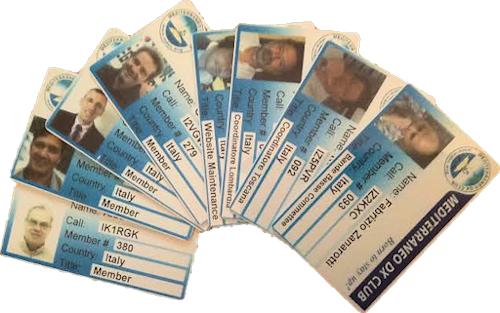 All projects and all DXpeditions are supported by the help of each member with the annual contribution of € 20,00 (or its equivalent in foreign currency). Donations are also welcome! [Step 2] fill out the form at the foot of this page with your personal data. MDXC is open to all licensed Amateur Radio operators and Short Wave Listeners!